Cash For Cars VIC provides the fastest and efficient car removals services in Melbourne. Since we have our own wrecking yard, we make sure that you receive the finest value for your old car. With us, you can get top Cash for Old Cars up to $9,999 for any car, despite its working and body conditions. We will pay you to get rid of any car with absolutely free towing charge. Cash For Cars VIC’s main goal is to provide you with a fast and easy car removal services in Victoria. 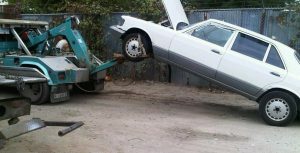 Mostly we are able to schedule your car removal within hours of your phone call or sometimes the very next business day as per your convenience. We want to make Melbourne a much greener city by removing scrap and unwanted cars from your property and recycling them. Simply call us or fill our online form to share the details about your car such as its year, make, and model. Our appraisers will share an offer within minutes. We will schedule a convenient time for your free pick-up once you accept our offer. You will be paid in cash instantly on the spot when we come to remove your car. We can be at your door the very same day to remove your car and pay you the cash you are worthy of. Our friendly staff will be more than happy to assist you with every step of the procedure of car removal. Cash For Cars VIC is known for being fast, reliable, and paying the highest possible rates in the automotive industry. Our reputation has been earned by hard work and through keeping our promises to our customers. You will get the most from your car without any hassle throughout the process. We have the experience and capability to provide top dollar price for your car removal. Call us at 0423 199 008 for a free quote on your car. You can also send us an email at info@cash4carsvic.com.au for any further queries.